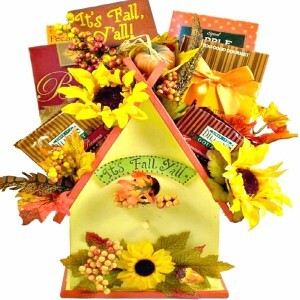 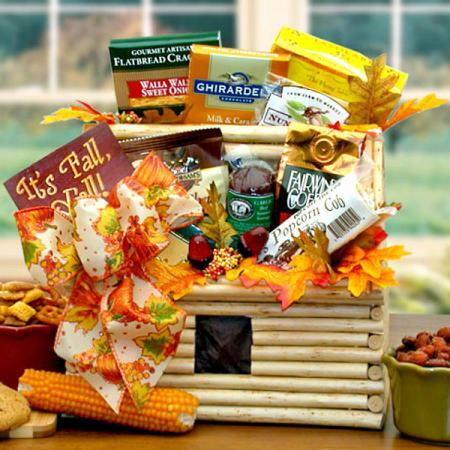 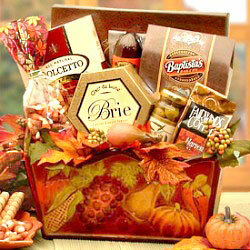 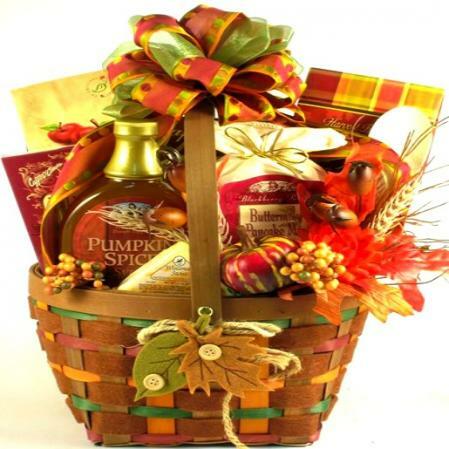 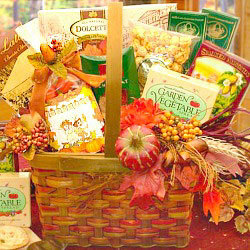 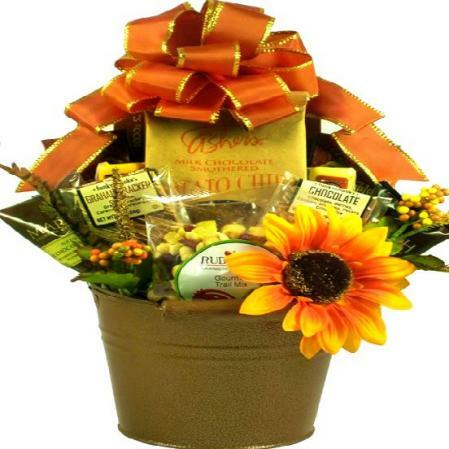 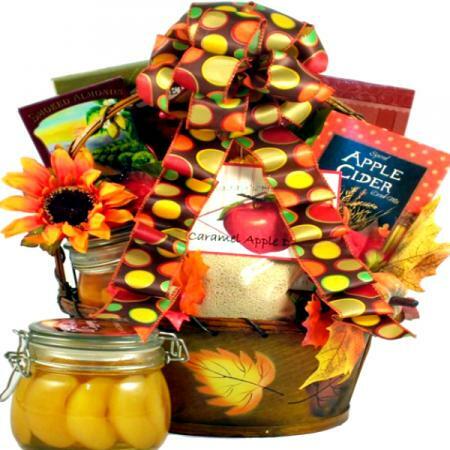 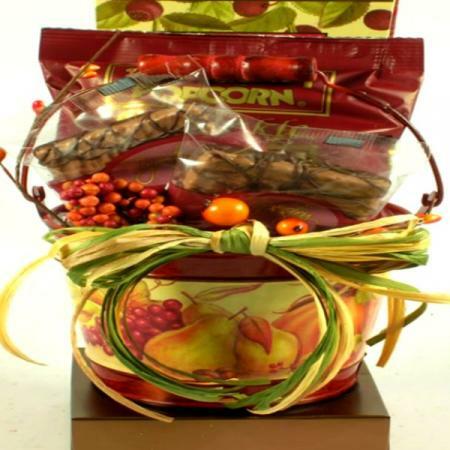 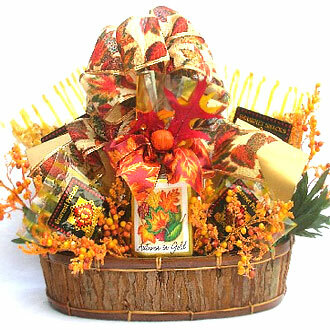 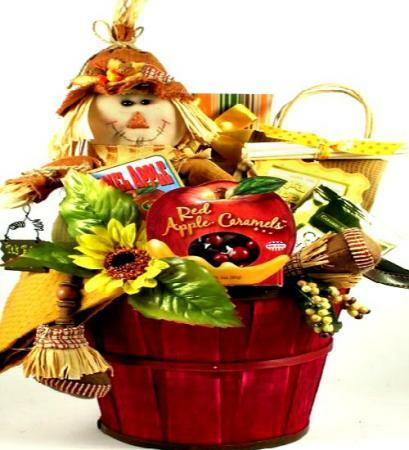 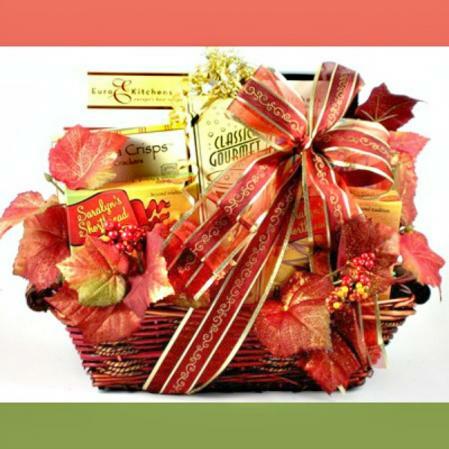 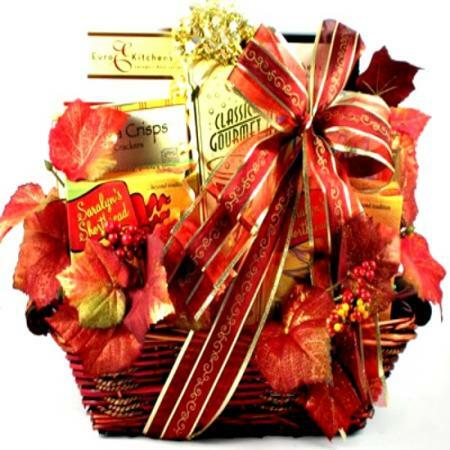 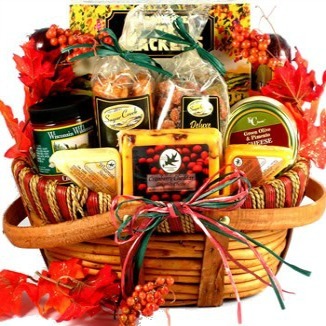 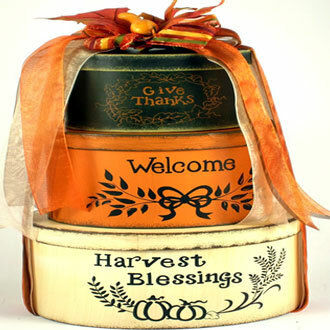 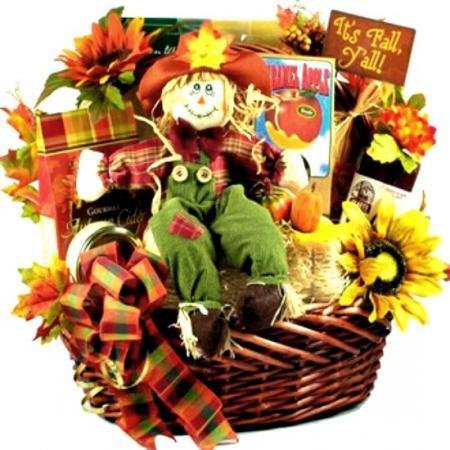 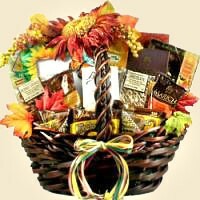 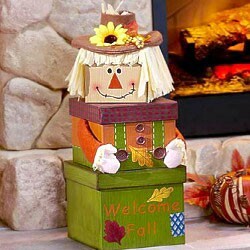 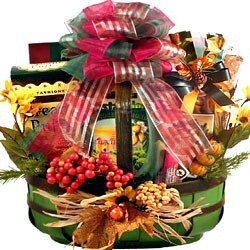 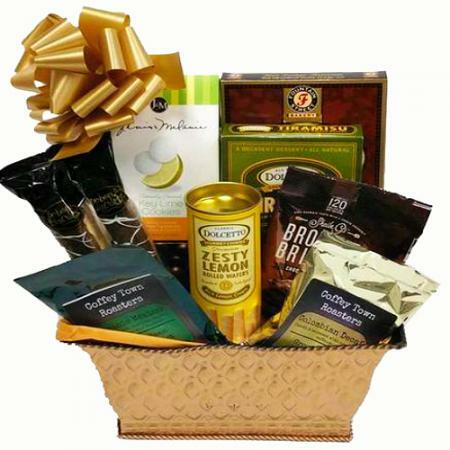 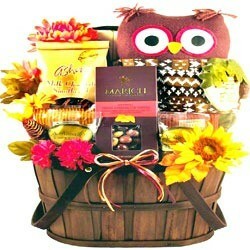 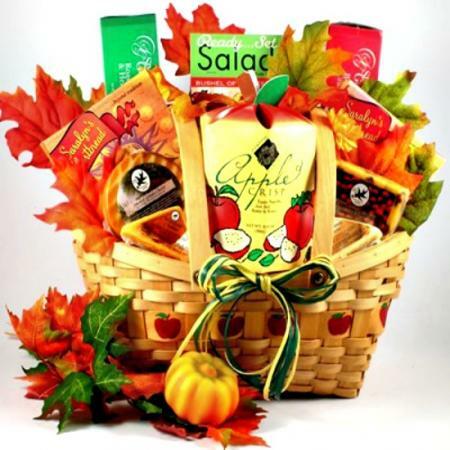 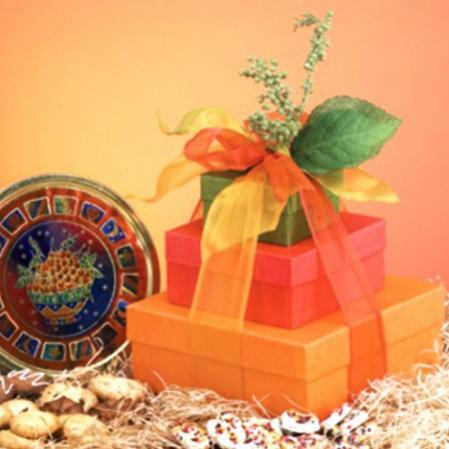 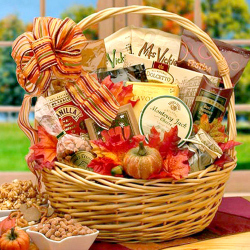 A huge Fall gift basket elicits the 'Wow!'! 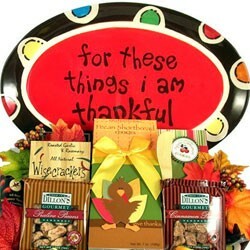 Quite the presentation for any office or family gathering. 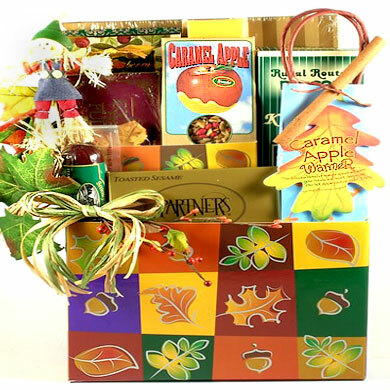 Filled with an overwhelming abundance of delicious food snacks and goodies for everyone to enjoy. 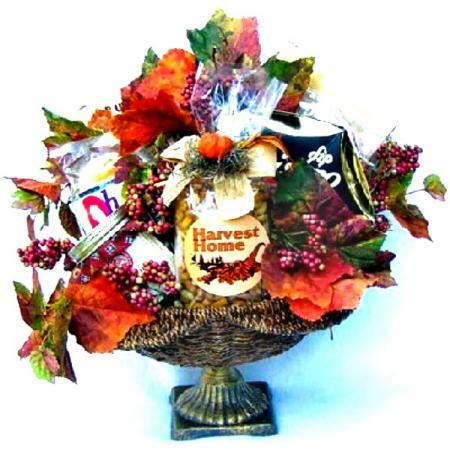 We have adorned this very beautiful large tray basket with frosted maple leaves, berries, and elegant ribbon and filled it with savory snacks and sweets. 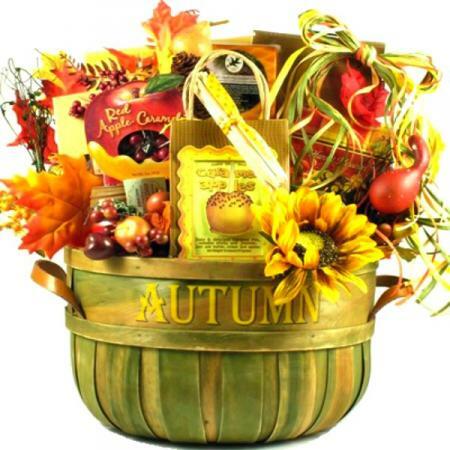 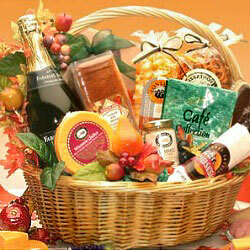 This autumn gift basket is both bountiful and beautiful.